Roof management is an asset, not a liability. One of the most significant benefits of roof management is that it allows you to cost effectively extend the life of your roof by as much as 50%. Using a reliable roof management company can result in extensive savings to their customers by providing the opportunity to invest in the latest techniques for new roof or roof repairs for the most reasonable price. For existing roofing systems, proper maintenance and roof management is usually where the property owner realizes the biggest savings. The cost of roof management or maintenance is recovered when the service life of the roof is extended by just one year. Most generally, roof maintenance is required in an emergency situation, usually in inclement weather conditions. This type of emergency repair require maintenance repair crews to perform temporary emergency repairs in less than ideal situations which increases and raises the cost significantly to the property owner. Later that same company will return when conditions allow to make the permanent repairs. The property owner has now sustained costs for temporary repairs, permanent repairs and very possibly, interior damage repairs. Roof management cannot totally eliminate emergency repairs, but it can reduce and decrease the frequency by which they occur. Regular inspections and maintenance by a reliable roof management firm can identify problems, recommend and perform needed repairs before the problem progresses into serious leaks resulting in costly damages to the roof and the building. Better allocation of funds for repairs and replacement is another benefit of roof management. Many times roofs are replaced before it is absolutely necessary. Surface deterioration, recurring leaks, storm damage etc. can make property owners and facility executives think it is time to replace a roof, when in fact, routine maintenance and repairs performed when necessary would have extended the life of the roof and delayed expensive roof replacement costs. Additionally, information on the roof conditions supplied by the roof management company will provide the property owner or facility executive with the criteria needed to budget and determine if minor repairs will correct the problem or if the roof system is approaching the end of its life and replacement is required. For the most part, the roof is out of sight and out of mind. However, ignoring the roof often leads to premature roof failure. Therefore, because of the risks and costs involved, clearly, roof management should be a major priority for building owners and facilities managers. A preventive maintenance program provides a number of benefits. It can increase the life of a roof by as much as 50%. It can reduce expenses freeing up funds for other needs. It can reduce the cost of roof replacement, when it is time, by allowing the existing roofing insulation to be reused vs. replaced. It can also save money by preventing unnecessary emergency repairs. Whether you own or manage 1 or 1,000 facilities, understanding and maintaining your roofing systems are a major part of roof management. Depending on the severity of the problems, unplanned roofing issues can result in thousands and even up to millions of dollars in costs. Therefore, proper roof management is imperative in extending the life of your roof and keeping costs down. 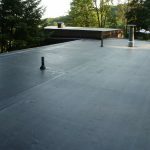 EPDM Roofing: E.P.D.M. stands for Ethylene Propylene Diene Monomer which is an M-class rubber. Epdm is a synthetic rubber that is used in a wide variety of applications. EPDM has gained an industry wide respect and following as the go-to material for single-ply, low-slope roofing applications. EPDM provides an immediate long-term solution that is weather and fire resistant. 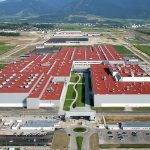 As we move forward into an environmentally conscious society that places heavy emphasis on the sustainability and performance of roofing materials, EPDM has proven time and time again that it is the go to and green roofing material. A combination of ethylene, propylene, diene, and monomer used to create a synthetic elastomeric rubber most commonly used for roofing on low sloped/flat roof structures. EPDM RoofingThickness: Standard thickness’s are 45 mil, 60 mil and 90 mil. EPDM RoofingTextures: Smooth or Reinforced, reinforced contains a layer of polyester reinforcement between two plies of EPDM. Reinforced membranes resist punctures. EPDM roofing systems can be applied in many different ways. These different applications are also known as types of roofing systems. EPDM singly ply roofing systems can be attached to a structure in several different ways. Below are a few of the different types of EPDM roofing systems. Smooth EPDM roofing single ply membrane is fully adhered with bonding adhesive directly onto insulation. The EPDM seams are overlapped and glued together with double sided EPDM seam tape. Fully adhered roofing systems are the most commonly used due to the fact that it is the most secure EPDM single ply roofing system. Fully adhered EPDM roof systems are also the easiest to maintain. Reinforced EPDM roofing single ply membrane is mechanically fastened to insulation. The EPDM seams are overlapped and glued together with double sided EPDM seam tape and then screws and 2” plates are mechanically fastened to seams; 1 screw/plate per foot. Mechanically fastened EPDM roofing systems are the least expensive and are installed in areas where wind speeds are generally not high. If you’re not too concerned about extreme wind speeds and your roof system receives foot traffic then this may be the system for you. EPDM roofing single ply membrane is loose laid over insulation. The EPDM seams are overlapped and glued together with EPDM double sided tape, and then ¾” – 1 ½” round washed stone ballast is loose laid on the entire roof surface (not less than 1,000 lbs per square). EPDM Ballast roofing systems also deflect heat. All EPDM Roofing single ply membrane is attached around all protrusions and along all roof perimeters. Ethylene, Propylene, Diene, & Monomer were combined in order to create a synthetic elastomeric rubber which resists UV radiation, thermal shock, and weather changes. Special coloring was also added to the EPDM single ply membranes in order to boost UV resistance: Black membranes convert UV rays while white membranes deflect UV rays, thus keeping the interior of the building warmer when using Black EPDM and cooler when using White EPDM. EPDM is less expensive and easier to install than modified bitumen or built-up roofing systems. More labor related accidents occur on modified bitumen and built-up roofing systems than during installation of an EPDM roofing system. Hot tar used in modified bitumen and built-up roof systems emit odors/fumes and can cause severe burns. EPDM is light weight and used on both new construction and reroof installations without adding excessive weight to the roof deck. 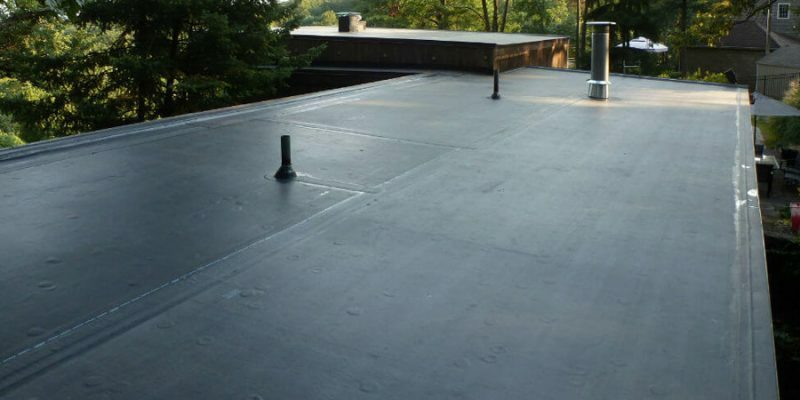 EPDM systems weigh approximately 30 pounds per square versus built-up or modified bitumen roofing systems which can weigh from 600 to 1500 pounds per square. EPDM stretches to more than three(3) times the original size so it moves with the building during weather changes. This is especially important during hard winter months and in the desert where it is hot during the day and cold at night. Built-up and modified bitumen roofing systems do not expand or contract so cracks occur during weather changes. 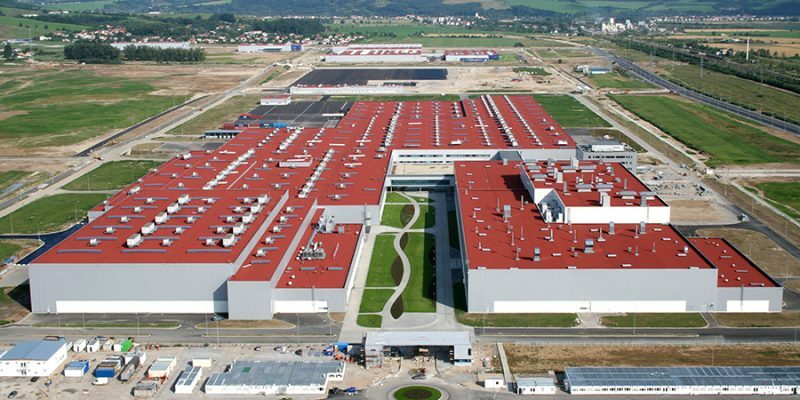 EPDM can last 40+ years or more if properly maintained; EPDM roofing systems are easier and more successful to repair and maintain than built-up or modified bitumen roof systems years after installation. Our clients range from S&P 500 companies, to large organizations, to small local businesses, and the neighbor next door.